Suspense, politics, war, humor and intergalactic finance. 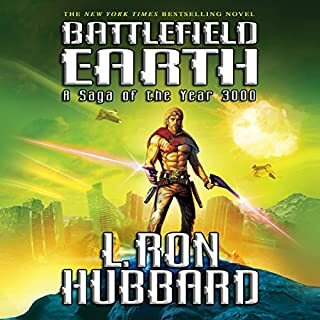 A towering masterwork of science fiction adventure and one of the best-selling science fiction novels of all time, L. Ron Hubbard's Battlefield Earth opens with breathtaking scope on an Earth dominated for 1,000 years by an alien invader and man is an endangered species. From the handful of surviving humans a courageous leader emerges Jonnie Goodboy Tyler, who challenges the invincible might of the alien Psychlo empire in a battle of epic scale, danger and intrigue with the fate of the Earth and of the universe in the tenuous balance. I read this book at least 5 times. It is quite entertaining and has never failed to grab my attention. Sure it?s pretty far fetched here and there, but, hellooooooooo, it?s FICTION!!! 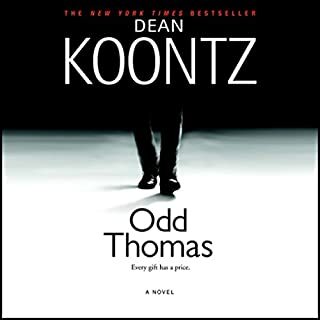 I do advice to wait for the unabridged version (abridgments always seem to leave out important story threads so the book doesn?t seem to hang together properly). Max Headroom meets the Da Vinci Code in Cyberworld. And as strange as that sounds, it is even stranger.... Do not let the weirdness of it put you off; this book definitively grows on you. It is a great read. And by the way, the narrator is superb. WARNING: Do not buy this book if you have other things to do! 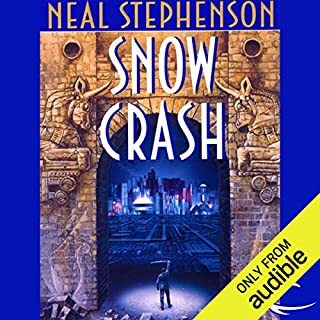 It only took 15 minutes to get used to the narrator's tinny voice. I finished this book in 2 sittings. I do have to agree with some of the other reviewers that the ending was a bit abrupt, but there really was no other ending possible. It took me about an hour to get used to the different style, but once I did, I was hooked. Listened to this book in 2 sittings. Couldn?t put it down. This is definitively one of the few I will listen to again.